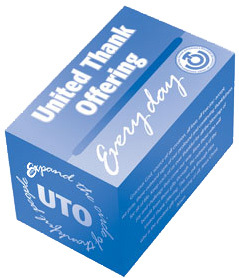 The first United Thank Offering was in 1889. It began as part of Missionary efforts of the Women’s Auxiliary to the Board of Mission, authorized by General Convention in 1871. Julia Emery, secretary to the Women’s Auxiliary, and Ida Soule, who counted the missionary offering of the 1886 Triennial meeting of Women, inspired women to pray and give coins with the idea of building a new church in Anvik, Alaska and sending a woman missionary to Japan. At the 1889 Triennial Meeting, the offering was $2,188.64 and accomplished those purposes. From these beginning the UTO has carried on as one of the oldest women missionaries. In 2018, The United Thank Offering awarded 34 grants for a total of $1,257,778.18 for the mission and ministry of The Episcopal Church and the Anglican Communion. This compares with 47 grants for a total of $1,169,969.55 in the previous year. You can see a listing of all of the 2018 grant recipients. The UTO program culminates each year in the spring and fall In-Gatherings, when the offerings of each parish family are collected … offerings that are combined with those of Episcopal parishes everywhere to support projects worldwide for missions and ministry. Last year in 2017 the fall ingathering collected$237.52. The Spring ingathering yielded $519.57 in June. 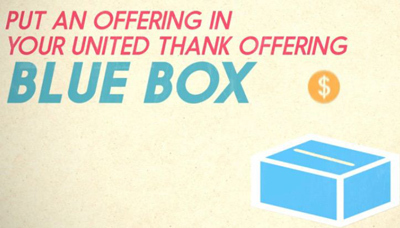 We believe that when daily thanks is given and money is placed in the Blue Box, the money becomes an outward and visible way to say thanks. It is a way to take our Baptismal covenant seriously ~ to love God, and to love our neighbors as ourselves. You know where some of the money goes – St. Peter’s was one of recipients in a UTO grant ($15k) to refurbish our kitchen. Here is our page from May, 2015 about the grant. The UTO national site is here. Please consider a generous gift in 2018!